The first review we have seen of the Bitcoin Machines in Singapore was just published. Although we love all the Bitcoin companies in Singapore (the bigger the ecosystem, the better), we can't hide our excitement over the outcome! We can't believe it has only been one week since we launched Asia's first public Bitcoin Vending Machine, so much has happened since! We made a lot of new friends here in Singapore and around the world. Newspapers and media wanted to talk with us. We had our new friend Wei En help us handle customers at our machine while we were working hard to improve our up-time (just today we made a new improvement that we hope will solve most of our issues!). We kept busy on Facebook and Twitter and on email. Thank you so much for all your support during our first week - we love you! We promise to continue to work hard to improve the experience further and move Bitcoin in Singapore (and surroundings!) forward and upward. Below some snapshots from the first week of operations. 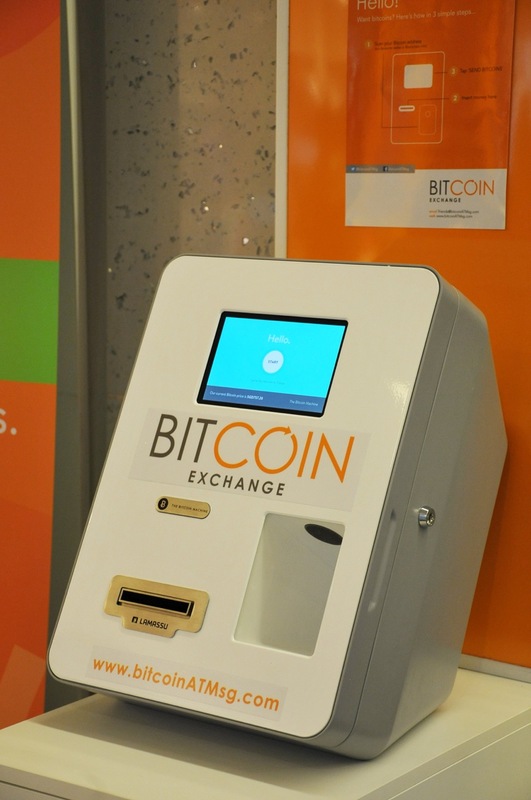 Singapore, 28 February 2014 – Singapore-based firm Bitcoin Exchange Pte Ltd (“Bitcoin Exchange” or the “Company”) today launched Asia's first public Bitcoin Vending Machine at Citylink Mall at 1 Raffles Link. The Company is the first operator in Asia for the Lamussu Bitcoin Vending Machine. The availability of Bitcoin Vending Machines has been making waves globally. This launch is a significant development in Singapore which has a fast-growing Bitcoin community. This will contribute to the growth of merchants accepting bitcoins as a form of payment. “We are glad to be Asia’s first operator for the Lamassu brand of Bitcoin Machines. This user friendly machine allows bitcoin buyers to convert cash to bitcoins in less than 15 seconds. The Bitcoin community in Singapore is growing rapidly and bitcoin is an attractive payment option for e-commerce and in storefront shops alike. Bitcoins users do not have to pay financial intermediaries like banks transaction fees. This translate to cost savings for consumers. We are happy to bring this potentially groundbreaking technology to Asia and Singapore,” said Ms Zann Kwan, Executive Director of Bitcoin Exchange. Located in basement one (#B1-K2) at Citylink Mall, the Bitcoin Vending Machine scans a Bitcoin QR code and send bitcoins to the users Bitcoin wallet, which could be a mobile wallet or a printed paper wallet. Bitcoin Exchange has plans to install more Bitcoin Vending Machines by the end of 2014 at public venues with high traffic flow. “We are Bitcoin lovers and truly committed to building up the community in Singapore and the region. Our strategy is therefore to remain independent and place our Machines at public venues to heighten the access of Bitcoins,” added Ms Kwan. The Company is also exploring opportunities to bring the machines to neighbouring countries in South East Asia. "Bitcoin price volatility has been high, however as adoption grows and the technology matures, most people expect the price swings to moderate," according to Ms Kwan. There will be a launch party on site today at 7pm. The media and public are welcome to try out the machine. The first 50 users will receive S$5 in cash and a paper wallet as a way of introducing Bitcoin to Singapore. For media, please kindly contact Zann Kwan at [email protected] for your attendance. This project is made possible with the help of Hongkong Land, the Lamassu team, and the Singapore Bitcoin community. We are planning to join the Singapore Bitcoin Meetup on Feb 13th, join and meet us there! MyPaper is writing about us: "Bitcoin to go mainstream with its first ATM in S'pore"
CoinDesk interviews one of our founders, Zann Kwan: "Singapore’s First Bitcoin ATM to Arrive in March"